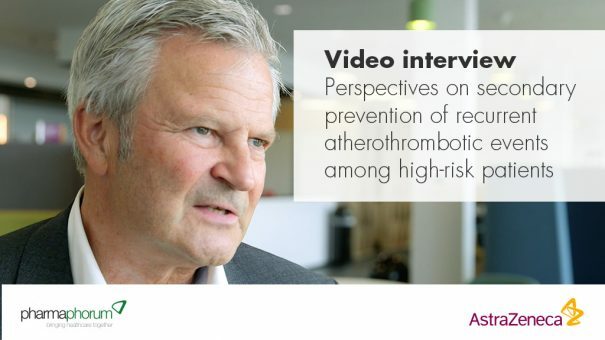 As part of the roundtable debate on secondary prevention of recurrent atherothrombotic events, Dr Paul Tunnah speaks with a participant, AstraZeneca’s Gunnar Brandrup-Wognsen, to hear his perspectives on secondary prevention. In conjunction with the roundtable video debate, pharmaphorum are releasing individual video interviews with the four expert participants. Here, Gunnar Brandrup-Wognsen provides a broader European perspective on secondary prevention. 00:12 – What is the scale of the challenge we are facing when it comes to recurrent atherothrombotic events and their prevention? 01:40 – What have been the biggest advances in tackling secondary prevention that we have seen over the past 10 years? 03:09 – In relation to the management of different types of primary event, are we seeing significant variation in non-STEMI versus STEMI? 04:59 – Are we seeing significant variation based on other demographic factors? 06:05 – Are there ways in which we can more quickly integrate new real-world data into treatment practices to address new interventions coming through? 08:18 – Where would you like to see more attention and focus from policy makers, at the government level, in addressing secondary prevention?